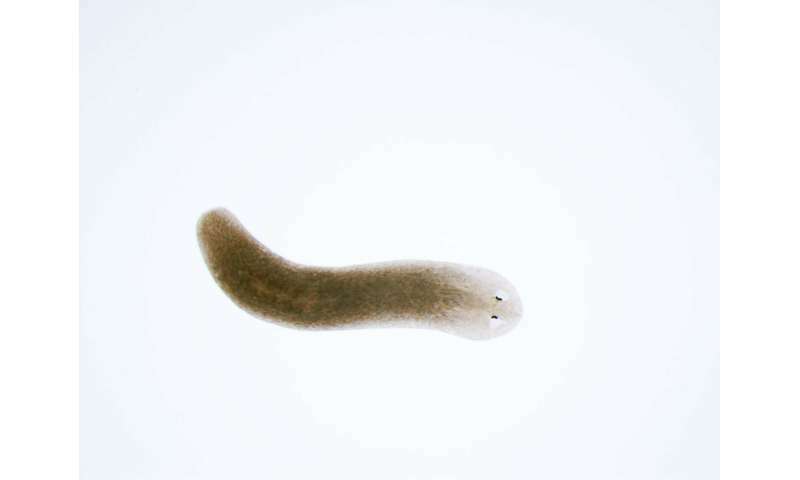 Flatworms are known for their regenerative capabilities—amputated parts will grow right back. 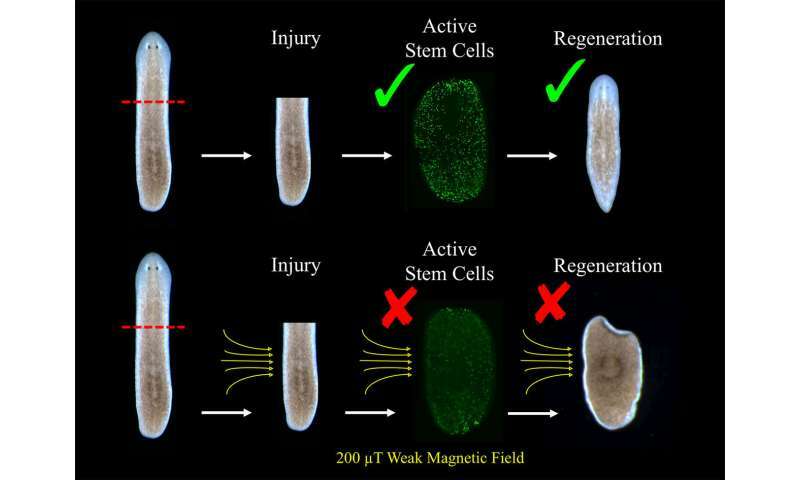 In this new effort, the researchers wondered what would happen if they cut off parts of a flatworm's body and then exposed it to a weak magnetic field (more than Earth's field, but less than that exerted by strong magnets). Some in the biological community have theorized that exposure to weak magnetic fields could result in a process called radical pair recombination. This process could conceivably alter the spin direction of electrons located in the outer parts of atoms, disturbing molecular pairings and leading to the formation of free radicals. 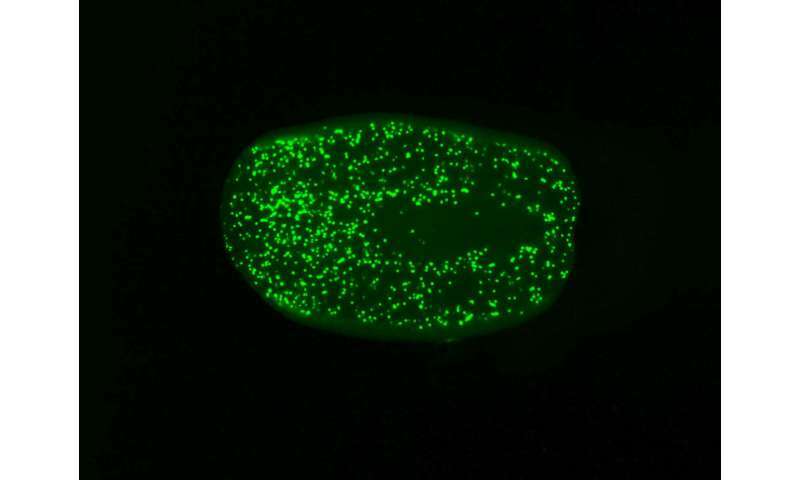 This could lead to the production of reactive oxygen species (ROS—chemically reactive species that contain oxygen), which might cause processes like faster wound healing or slowing cancer cell growth. To test the theory, the researchers used flatworms. In their lab, they sliced flatworms below and above their feeding tubes and then put the pieces in culture dishes that were placed inside a chamber shielded from outside magnetic interference. Inside the chamber, they placed a device capable of producing weak magnetic fields. They subjected the pieces to a variety of magnetic field intensities and observed the impact on regeneration times. The researchers report that growth was slowed in blastema, cells that grow into new parts, when subjected to 100 to 400 µT magnetic fields. Growth sped up in fields greater than 500 µT. They also found ROS levels were altered—they were lower than they would have been under normal conditions in blastema exposed to the lower doses of magnetism, and higher in those exposed to fields greater than 500 µT. The researchers were unable to explain the different impacts they saw, but noted that a reduction in blastema growth was accompanied by reduced stem cell growth.